Ronald Reagan was born a humble Illinoisan, rose through the ranks of Hollywood to become the president of the Screen Actors Guild, and ended up president of the United States after eight years as California governor. Reagan's experience in the private sector, where he learned about the dangers of Communism and the value of market forces, influenced his personal beliefs and allowed for his presidency to become a success in almost every regard. Reagan's economic policy was sound; his international strategy solidified American global prowess and led to the collapse of the Soviet Union; and his personal character was impeccable. It is indisputable that Ronald Reagan ushered in a new dawn for American diplomacy: With words and deeds, he demonstrated to the world that our republic would not be toyed with. With rapid military buildup, the promise of a space defense system, interventions against Communists worldwide, and assertive rhetoric, Reagan cornered the Soviet Union -- which was buckling under the weight of their worsening economy -- and forced them to the negotiation table. 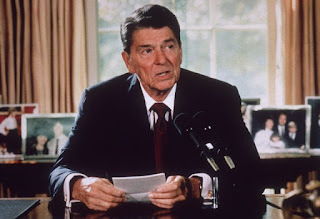 Reagan's biggest diplomatic triumph was the Intermediate-Range Nuclear Forces Treaty of 1987, which mandated the elimination of thousands of ballistic missiles held by the U.S. and the Soviet Union. However, Reagan's ultimate prize was the fall of the Soviet Union, which occurred just years after he left office. Russia was one thing, for they were still a major player in the Reagan years. However, in the face of lesser powers, Reagan flexed even more assertively. When Colonel Qaddafi perpetuated the bombing of a German nightclub popular with American troops, Reagan ordered airstrikes against Libya that almost killed Qaddafi himself. Defending his move, Reagan said, "Today, we have done what we had to do. If necessary we shall do it again." Imagine a contemporary leader with that level of confidence. Reagan's triumphs weren't only international, however. Using tax cuts and deregulation, Reagan managed to revitalize the American economy, which was stagnant during the Carter era (1977-1981). In 1980, the U.S. gross domestic product (GDP) contracted 0.3%; by 1984, GDP growth was 7.2%. Over the course of Reagan's presidency, the average GDP growth was 3.49% (this even includes 1981 and 1982). Today's commentariat praises 3% growth as phenomenal; for Ronald Reagan, it was average. Meanwhile, Franklin Roosevelt -- allegedly the 20th century's greatest president -- spent billions of dollars in taxpayer money (and established trillions in future obligations) to see an increase in unemployment in the late 1930's. 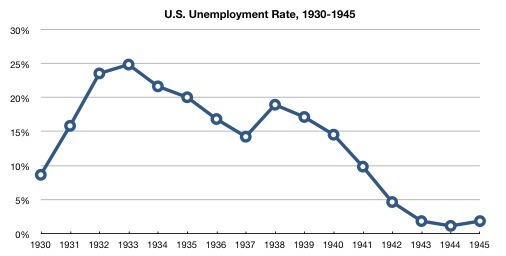 Even The New York Times understood that Roosevelt's economic policies were a failure. In September 1940, they wrote, "We give our support to [GOP candidate] Willkie primarily for these reasons: Because we believe that … the fiscal policies of Mr. Roosevelt have failed disastrously." The war was Roosevelt's vindication for the voting public, but he shouldn't get a free ride in the history books. On the other hand, Reagan should receive the credit that he deserves for revitalizing American enterprise after a decade of economic downturn. I, for one, will give it to him: Reagan was the 20th century's greatest president. And this piece, due to space constraints, has barely scratched the surface of Reagan's excellence. Well written. Good and valid points. Reagan had character, values, and belief in himself and United States. His leadership made the world know the United States stood for democracy, and optimism.